Mexico has something for every type of traveler: white sand beaches in Tulum, trendy restaurants and museums in Mexico City, Maya ruins in Chichen Itza, and tequila in, well, Tequila. 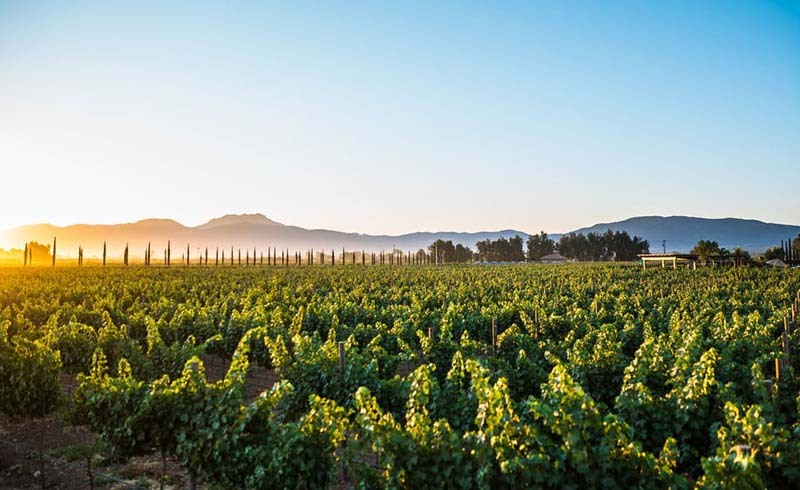 The Baja peninsula is giving you one more reason to head south: Just 90 miles south of San Diego airport, Valle de Guadalupe is the country’s burgeoning wine region. 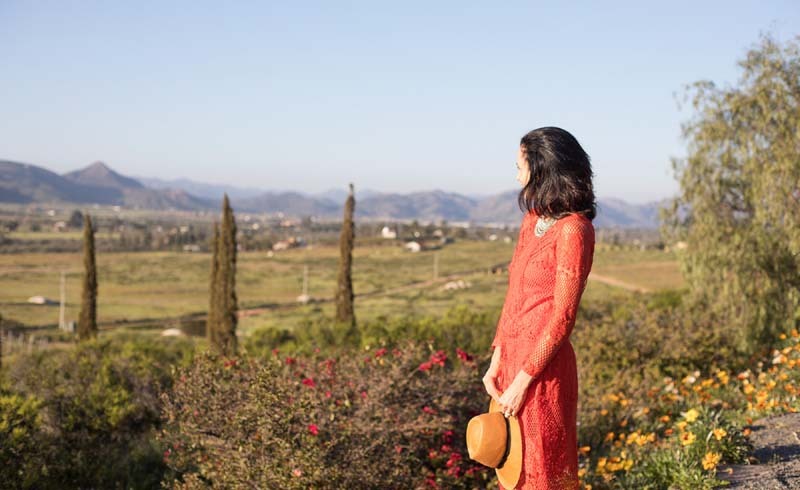 A trip here is like stumbling upon a hidden gem — while the food and wine are comparable to California’s Napa Valley, the region to which it often draws comparisons, the Valle has a more rustic, low-key, and family-grown vibe. It’s a destination where you’ll wind along dirt roads to find unique tasting rooms, chat with the winemakers, get invited to a family birthday party, and, of course, drink copious amounts of good, inexpensive wine. The Valle isn’t new; Spanish missionaries gave the region its current name in the 1800s and established its agricultural success. Later, Russians fleeing the Russian Revolution bought land in the valley and devoted a portion of it to winemaking. The first vineyard, Bodegas de Santo Tomás, was established in 1888, and there are now over 100 wineries (and counting) along La Ruta del Vino, AKA The Wine Route. The Valle has a cool microclimate due to its proximity to the Pacific Ocean — the morning fog that rolls in each day helps the grapes grow, creating a unique minerality to the wines here. 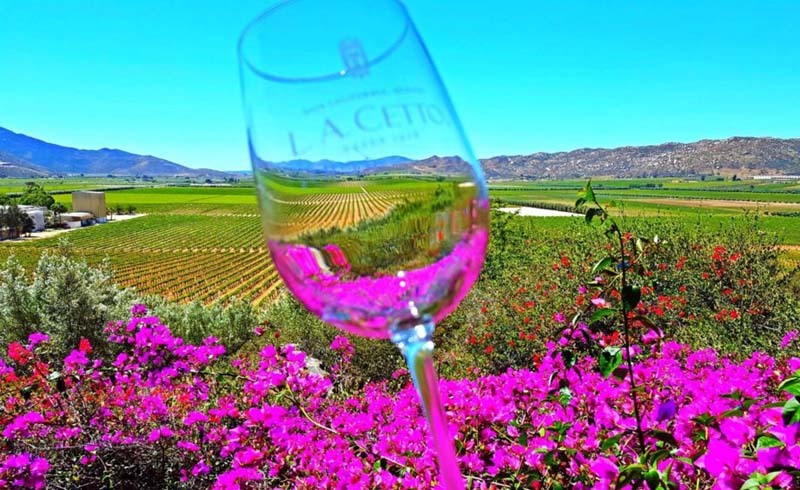 It’s apparent that wine connoisseurs and jetsetters alike have begun to catch on to the charms of the Valle; luxury hotel offerings are cropping up everywhere, and in 2017 Baja chef Javier Plascencia and LA-based chef Nancy Silverton launched the Valle Food and Wine Festival to celebrate culinary achievements both north and south of the border. With the Valle’s growing popularity, there’s no better time to visit; book a trip now before the crowds come calling. 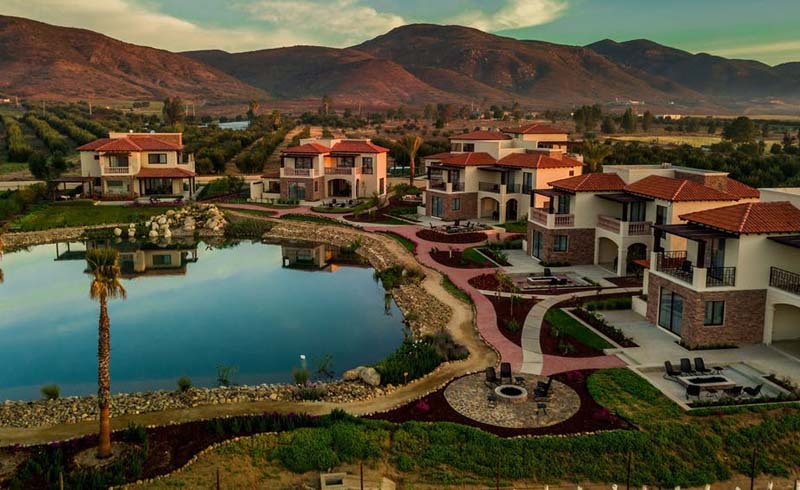 El Cielo Winery & Resort is a new hotel with luxury suites and villas set on 79 acres of rolling vineyards. The opening of the resort coincides with the fifth anniversary of the El Cielo Wines, whose celestially themed vintages draw inspiration from the spectacularly starry skies in the Valle. The 56 suites are located in large, modern villas, nestled among a mountainous backdrop and offering views of the property’s two lakes, gardens, and vineyards. To really live it up, book one of the two 2,777-square-foot Presidential Villas: Each can comfortably sleep your entire squad and comes with a fully equipped kitchen, wine fridge, lounge, and oversized jacuzzi. Even the spacious junior and master suites are nothing to shake your head at — every amenity and detail has been thought of, and the tranquil setting and exceptionally warm service will make you feel like you’ve found your own personal slice of heaven. There are two gourmet restaurants on-site, a pool, and a soon-to-come spa. A variety of activities are offered, including ATV riding, a trolley tour through the vineyards, and traditional grape stomping. The hotel also provides transfer services from the San Diego and Tijuana airports to make the journey there stress-free. Nearby, you can also find some more unconventional housing options. The “eco-lofts” and “eco-villas” of Encuentro Guadalupe are futuristic glass, wood, and steel structures built into a mountainside, perched above the soil. (Rihanna rented out the entire resort a few years back.) Bruma’s Casa 8, a “desert-cozy bed & breakfast,” has eight separate suites designed to blend into the natural surroundings. And If you’re looking to do a little more glamping in your life, the cabins at Cabañas Cuatro Cuatros will give you a taste of sleeping in an elevated tent — with the added convenience of A/C, an attached bathroom, and a personal terrace. Start with El Cielo, Mexico’s first winery to use solar panels: Its 79 acres of vineyards produce 15 varietals, including Sauvignon Blanc, Nebbiolo, Chardonnay, and Grenache. The winemaker has 20 years of experience and oversees the four specialty brands of wine — Astros, Astrónomos, Constelaciones, and Estrellas (Reserve) — each of which has a distinct character, whether you’re looking for something classic or special. 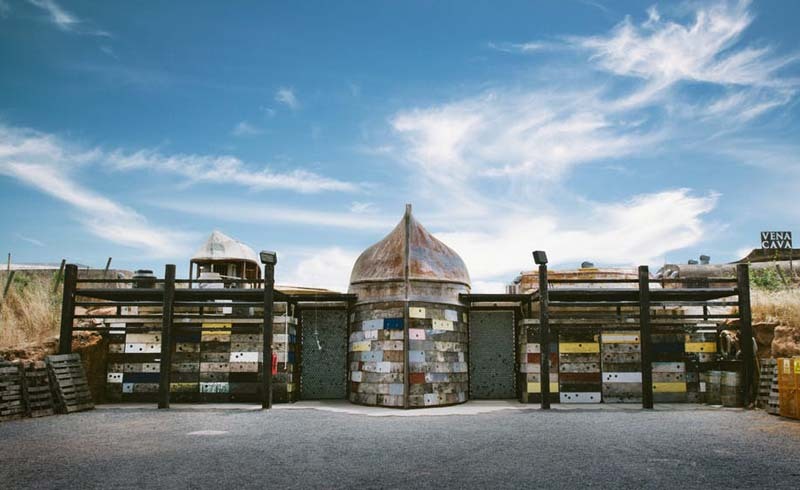 Vena Cava, the hippest and possibly most eco-friendly winery in the region, is constructed partly from reclaimed fishing boats and other recycled materials and uses organic grapes from its vineyards in its blends. Continue the organic trend with Finca la Carrodilla, Mexico’s first certified organic vineyard. Lechuza Winery, started by the Magnussen family in 2005, has the honor of having its wines served in Yountville’s most famous eatery, the French Laundry — if it’s good enough for Thomas Keller, then it’s good enough for us. Once you’re ready to soak up some of that wine, there’s no shortage of incredible dining experiences. El Cielo Resort and Winery’s Latitud 32 (named after the latitudinal coordinate of the Valle) is helmed by chef Marco Marin — who was part of the kitchen staff of Copenhagen’s critically acclaimed NOMA — and serves up inventive Baja-Yucatan fusion dishes. Think creative ceviche, handmade tortillas, and plenty of fresh seafood. If you can snag a reservation at the well-regarded and high-end Laja (a seasonal four- or eight-course menu) or Corazon de Tierra (modern Mexican), do so — both made the list of Latin America’s Best Restaurants in 2017. And recently opened upscale Fauna, at the Bruma hotel, is gaining acclaim for its “experimental menu” from young chef Chef David Castro Hussong (whose experience includes stints in New York’s Eleven Madison Park and Blue Hill at Stone Barns). More casual options are also available. Michelin-rated, Georgia-born chef Drew Deckman has Deckman’s en Mogor, a sustainable restaurant serving meats and produce grown on-site, all in a picnic setting. At another open-air restaurant, Finca Altozano, chef Plasencia prepares simple Baja cuisine in a country steakhouse style.